There are some makeup artists who do not use brushes. I’m not one of them. I use a combination of brushes and my hands to apply makeup, depending on the client I am working with, the look I am creating and the products I am using. When it comes to brushes, I do have my teacher’s pets. Read on as I share my faves. 14. Spooly Brush. Honestly, I’m not picky with these. But a spooly brush (to brush through eyebrows and mascara clumps) is an important part of the essential brushes I use. It is basically a standard mascara wand, so even a clean disposable wand will do the trick. None of the brushes I love are pokey, rough or in any way uncomfortable. When properly taken care of, they won’t shed or otherwise disintegrate on you. These are my personal favorites, but they are not the only ones that work. I just wanted to give this info because so many clients and beginner makeup artists ask me about brushes. And as I’ve said before, I don’t believe in keeping beauty secrets. If I know about a product or tool that could help someone else, eventually it will end up on this blog. You’re welcome. If you have any awesome brushes that you think I should try, please leave a comment! If the eyes are the windows to the soul, eyelashes are the window treatments. Good lashes make your eye-windows look better–it’s a fact*. I’ve yet to meet a client who doesn’t want long, full lashes. If the majority of people didn’t care about eyelashes, the false lash market would be non-existent. I’m not bragging here, but I have to be real with you. At least once each week, I get asked if I am wearing false lashes (I very rarely am, and no one has ever asked me when I actually was!). I don’t have eyelash extensions, and I don’t use Latisse or any other lash growth product. Without mascara on, no one would compliment me on my eyelashes–I feel confident about that. But because I do get these compliments, and because I have applied mascara to thousands of eyelashes, I feel qualified to at least share my tips. So here.we.go. Tip 1: Don’t regularly use waterproof mascara. This stuff is fine for cry-y occasions, but most waterproofs are harsher than regular mascara. When used frequently, waterproof mascaras can cause lash breakage. Tip 2: Be oh-so-gentle when removing your eye makeup. I cleanse my face with an oil cleanser and lightly massage a small amount of it onto my lashes. I do a lot of rinsing, but I never rub or scrub the eye area. After that, I dry my face and use a cotton pad soaked with Bioderma Sensibio H20 makeup remover to take off the rest of my eye makeup. With my eye closed, I gently hold the cotton pad work too over the lashline for about 20 seconds to let the remover break down the makeup, then I–also very gently–wipe away what is left. Tip 3: Eat clean. I am not a scientist, and the Internet research I should do would probably be full of contradictions anyway, but I believe that my healthy diet and the supplements I regularly take (including fish oil, which is beneficial to skin and hair), is part of the reason I have decent lashes to start with. Genetics is involved too, so I may have some nice lash DNA, but I think a healthy lifestyle truly does make for better skin, hair and nails. Tip 4: Dry yo’ lashes. Damp lashes–from washing your face, eye makeup remover, eye drops, etc.–make eyelashes clump together when mascara is applied, and clumped lashes will never look full. Before I apply my first coat of mascara, I always make sure my lashes are dry. To do that, I hold my index finger horizontally in front of my eye, then I blink. If the lashes are very damp, you will feel water, product or eyedrop residue hitting your skin. If they are just a little damp, you will be drying them on your finger-towel as you blink. Either way, do this a couple of times or until your lashes feel dry. Tip 5: Get your eyeliner involved. The right kind of eyeliner (or even a shadow as a liner) can give the illusion of fuller lashes. I prefer a dark brown at the lashline because sometimes when you use a black liner, the blackness of your mascara can fade into the liner and actually make your lashes stand out less (dark eyeshadows on the lid can do the same thing). You can, however, use a black liner to tightline. (This means applying it to the upper waterline). This makes the upper lashline look fuller. Tip 6: Use a volumizing mascara as a base. If I had to get a tattoo, it would need to be one of the two things I know I will love forever–Biggie Smalls or Dior Diorshow Mascara. I have tried dozens of mascaras in the last few years alone and nothing has come close to the volumizing effect of Diorshow (the original formula). I know that there are some people who this doesn’t work for, but everyone I have personally used it on has loved it. So here’s the trick to getting volume–hold your lash wand horizontally, wiggle it at the lash roots, then lightly blink into it. I concentrate on two areas for this–the center of the lashline and the outer two thirds. As far as how many coats to apply, that’s really a personal choice. I just stop when my intuition or makeup spirit guide tells me to, and I suggest you do the same. I do this step on my top lashes only. Tip 7: Comb through those bad boys. I won’t disclose what I use to comb through my own lashes, because it is bad and wrong and I should be ashamed. On clients, I use a spooly (or clean disposable mascara wand) to separate and remove clumps. You may find a plastic or metal lash comb works better for you. Whatever you use, just make sure you use it before your mascara has dried. Tip 8: Apply a second mascara. The second mascara is like the supporting actress, which is just as important, in its own way. I skip around to some other makeup steps before I do this to make sure the top lash mascara has completely dried. When I’m ready, I apply a super black, inky mascara to intensify and lengthen the lashes. I am currently using Make Up For Ever Smokey Lash Mascara and Clinique High Lengths Mascara. 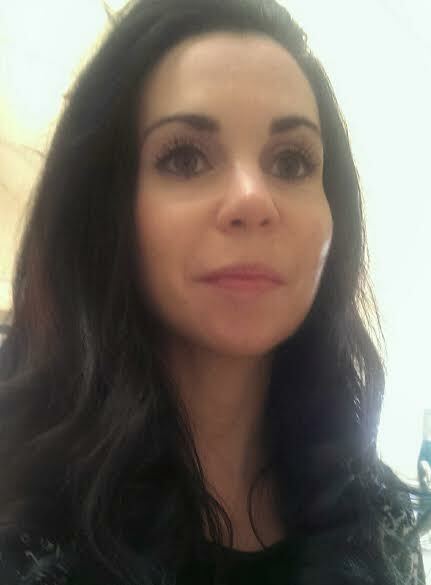 I do the wiggle-at-the-lash roots thing again, as well as the blink-into-it step. But with this blink, I pull the wand upwards as I blink, to get the lengthening effect. The pulling upwards is important because many of us have blond-tipped eyelashes (even brunettes–I’m in this category), so if there is no mascara there, the lashes will look shorter than they actually are. Tip 10: Don’t compare yourself to actresses, models, or Kardashians. They are usually wearing false lashes or have lash extensions (sometimes both), and if you are looking at anyone in a magazine, their photo has been retouched. Their lashes are about as Real as a Housewife, so please keep that in mind. Hope this post helps you on your journey to fuller, longer looking lashes (if that is your journey). Would love to hear your tips and recommendations. *I sometimes make up my own facts, based on my professional experience. The blurry, unflattering photo is of me–which marks the first time I have ever posted a photo of myself on this blog. But I think it is a good lash shot, so I am doing this for the people.